Music Heals The Soul — One Year from Tragedy – Good Music. Good Life. This time last year, I didn’t have a care in the world. My life was good, nothing to complain about. Little did I know that my and my family’s lives would be implausibly affected later that day. I was headed to Philadelphia for a business trip and was planning to meet my mom for dinner since she lives near(ish). When we met up, she said she had to return a call from my aunt. Nothing could have prepared anyone for what was on the other end of that call. That afternoon, a car smashed into an Orlando-area KinderCare killing a child and injuring 14 others. A story I had read about on the train between DC and Philadelphia, thinking it was tragic, but did not think anything else about it. The one child killed was my four-year-old cousin. The rest of the day was spent is a state of shock. I thought they must be wrong, there is no way that it could be Lily. I come from a large, loud, crazy, and incredibly loving family. Although we don’t see each other as often as we would like, we are always there for each other. When we all got the news, there were texts, calls, and support from all over the country. We all flew to Florida to be there for each other because that is the only thing that we knew to do. In the months following the heartbreak, the crying lessened, but the pain never went away. 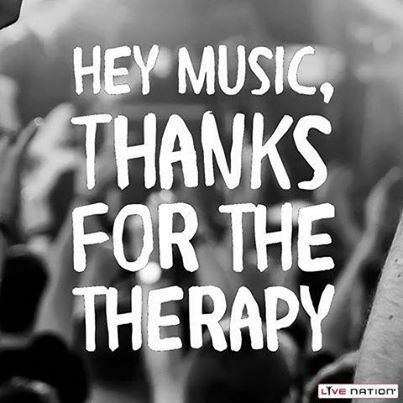 Music has always been my happy place, but over the last year, it has been my everything. Studies show that exposure to music increases positive thought, empathy, and helping behavior. There are songs I still can’t listen to without bursting into tear. Songs like ‘I love Rock and Roll’ and ‘Let it go’ have been forever ruined for me. Music has not only made me feel better, it has given me my passion back. Through this blog and through experiencing music, both live and recorded, I have found an outlet. Below is a playlist that helped me, I know it doesn’t work for everyone, but use it if you are going thorough a hard time.